* They create a definite space: A pergola can add definition to your backyard. You can create an entertainment lounge or a dining area, which is profound, especially if you do not have a deck or patio. If you want a definite purpose in your outdoor area, a pergola is the perfect solution. * You get privacy: If you do not like being on display when you are enjoying your outdoor space, you should get a pergola. Although it is an open structure, you can create privacy by adding drapes, latticework, or screens to one side of the pergola. * They create additional space for plants: You can add additional garden space in your outdoor area with a pergola. You can hang plants from the boards and create a gorgeous garden in the air. 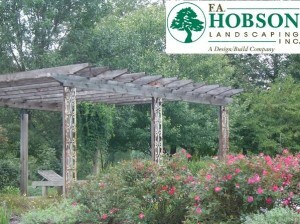 A pergola is also appropriate for plants like clematis, honeysuckle, ivy, wisteria, and grape vines as they grow from the ground up and can create a beautiful natural ceiling as they intertwine themselves in the boards. * They give protection and shade from the elements: A pergola can give you a beautiful shaded area where you can enjoy the summer day without worrying about sunburn. If you have a natural roof made of climbing flowers, you instantly get an outdoor lounge where you can relax. There are also pergolas that have an optional canopy that you can open and close as needed. * You can combine it with other structures: One of the best things about a pergola is that it can be used as a lead-in to other structures like verandas or gazebos. You could also use your pergola as a lead to a solitary gazebo from your back door, creating an eye-catching outdoor living area. No matter what you choose, remember that this versatile structure does not have to be on its own. In fact, it often works best when combined with other backyard designs. F. A. Hobson Landscaping has over 30 years of experience as the Mid-Shore’s Premier Design and Build Experts. Let us show you what we can build for you… Our pergolas are beautiful, strong and unique for your home because we build them specifically for your property. Call us at 410-739-6800 and let’s get building!